Unfortunately, filing your tax return isn’t always your only contact with the IRS for the year. Despite tirelessly collecting and preparing your small business’s tax information, sometimes, mistakes happen. If the federal tax agency finds errors on your return that lead to an assessment, they will send a Notice CP14 for collection. This tax notice is no cause for panic, as long as you follow these steps to address the issue. If applicable, you’ll receive a “balance due” tax notice within four weeks of your return being processed. 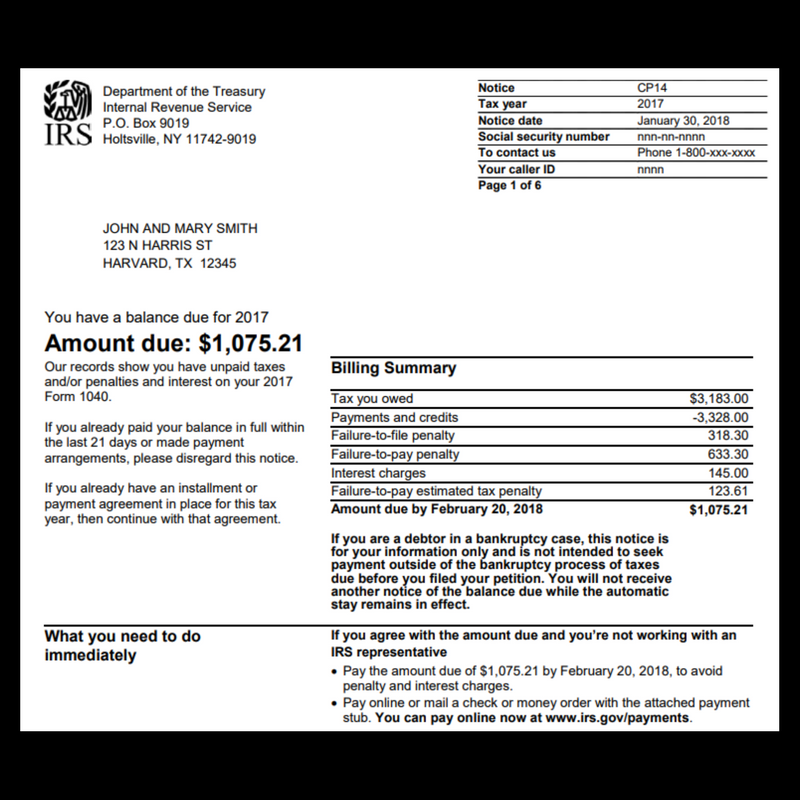 This letter is the first contact from the IRS to collect overdue taxes. If you ignore or neglect to pay what’s owed, then the IRS sends additional notices and will begin aggressive collection actions, like liens and levies. To avoid any added headache, here’s your need to know tips to getting resolving any “balance due” tax notice. The notice also includes more information on payment options, penalties, and interest. Before agreeing or disagreeing with the notice, check to see if your return had errors that led to the assessment of taxes due. If you find errors, you will need to pay the amount owed before the payment deadline in order to avoid further penalties and interest. 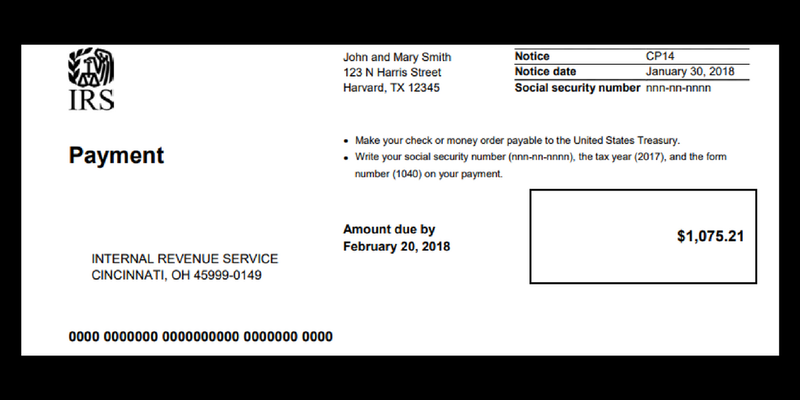 If you don’t see any errors or you find a different amount than what the IRS determined, you can call the IRS on the phone number indicated on the notice. An IRS representative will then assist you in resolving the issue. You can make the payment using IRS Direct Pay, a service that allows you to electronically pay your taxes directly from your savings or checking account. Alternatively, you can pay by credit or debit card. If you can’t pay the full tax owed, either send a request to the IRS to receive up to an additional 120 days to pay or set up an Installment Agreement payment plan. An Installment Agreement allows you to pay your tax bill in fixed monthly installments. You can also request help from a tax relief professional or your small business accountant before requesting your Installment Agreement to ensure you get the best tax debt resolution for your situation.